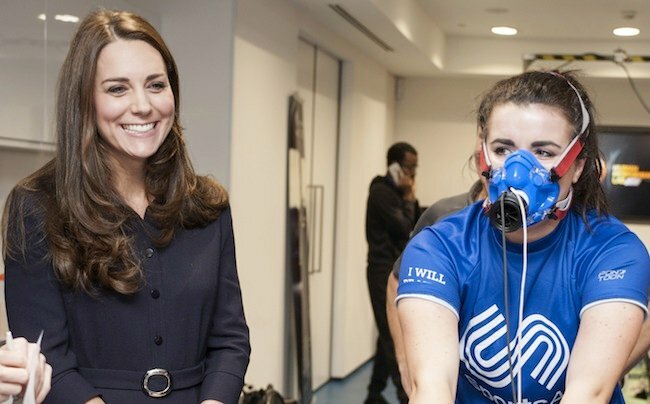 Kate Middleton shows off her growing baby bump at SportsAid workshop. Kate Middleton shows off her growing baby bump. The royal bump’s on show again and it’s getting a teeny bit bigger. 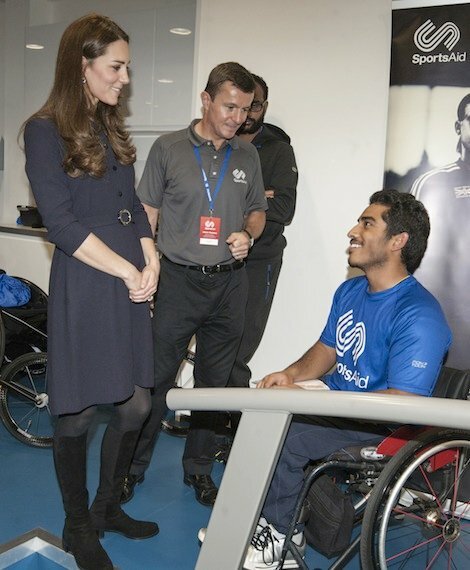 Today, Kate Middleton, 32, appeared at a SportsAid Workshop in London to meet several young Olympic hopefuls. While doing so she gave the public another glimpse at her growing baby bump. Thank you, Duchess. She tried to hide it with some strategic hand placements, but we caught a glimpse. The Duchess of Cambridge is well into her second trimester and is starting to show ever so slightly. So far, Kate&apos;s second pregnancy has been just as difficult as her first - she is again suffering hyperemesis gravidarum, a form of severe morning sickness. According to The Daily Mail Kate, who is around 16 weeks pregnant, revealed she was "frustrated" at being unable to exercise because of her condition. However, she continues to put on a brave face and was able to test out hand-eye coordination equipment, joking with the audience that it&apos;s one of the only things "you can do when you&apos;re pregnant!" 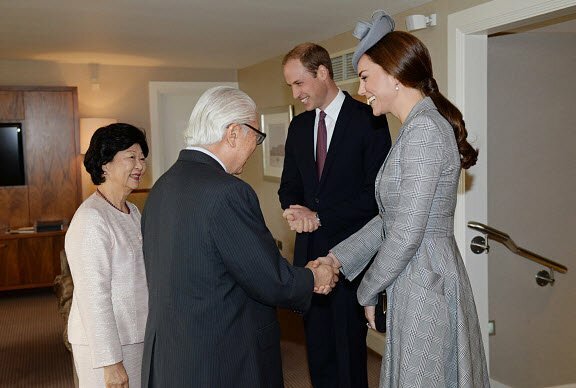 It&apos;s clear Kate is still nailing maternity style, and pleasing the Queen with that hemline! The Duchess Of Cambridge Attends The Wildlife Photographer of The Year 2014 Awards. 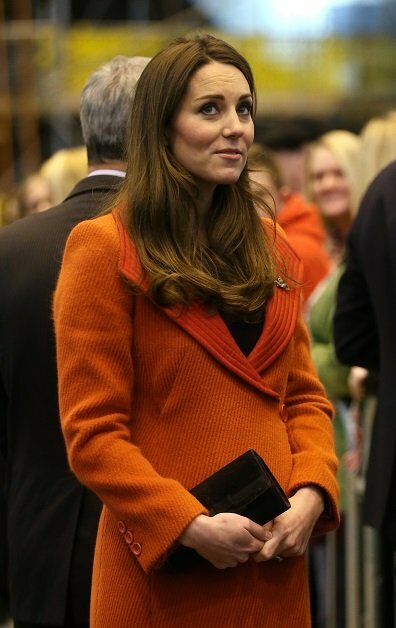 Kate Middleton at an Autumn Gala evening. 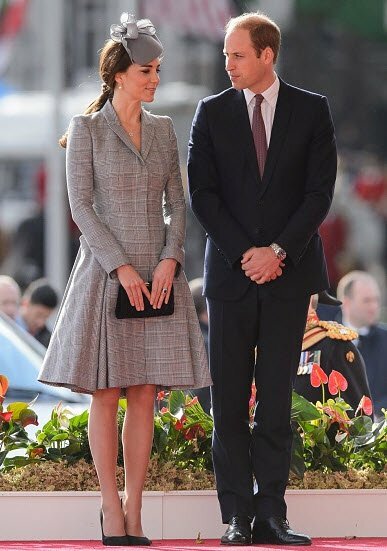 Phase 3: The Queen has intervened on the Duchess&apos; hemline.Image via Getty. Phase 2: Pregnancy = Longer lengthImage via Getty. The countdown for royal baby number 2 begins with the due date revealed. Move over Blake Lively, Kate’s back.